Are you about to sell your home? You might want to consider rebuilding your fence first. Rebuilding your fence is an excellent way to improve your property values, for a variety of reasons. A broken down, dilapidated fence may not seem like much of an issue for you — after all, it isn’t that expensive to fix — but it will still alter first impressions of your home. Here are a few of the reasons why you should rebuild your fence (or even add a fence!) before putting your house on the market. Fences have an excellent ROI. Fences offer one of the best returns on investment for renovations; in other words, the amount that it costs to build a fence is far less than the amount that it improves your property value. This is because most buyers are prepared to pay extra for a home with a new fence rather than purchasing a home and putting up their own. Other renovations may end up being more expensive than they’re worth; for instance, a kitchen renovation can increase the value of your property, you can end up paying more for the renovation than the improvement in your property value. Fences are attractive to buyers. Many people will develop their impression of your home the second they pull up. Your fence, yard, driveway, and garage door will often have a far greater impact on their impression of your property than your kitchen, living room, or bathroom; even if the interior is beautifully renovated and staged, they will still be working with their negative first impressions. By installing a new fence, you can make sure that they’re thinking positively from the very start. Fences improve the safety of your home. 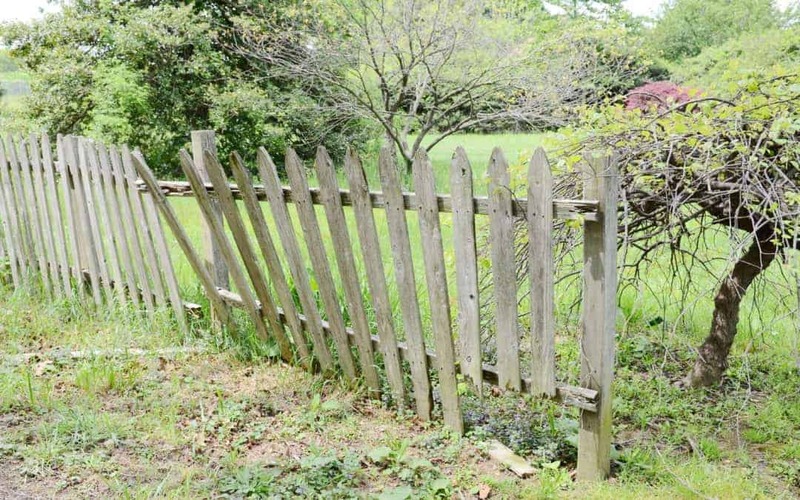 If you currently have an old, rotting, or falling apart fence, the property inspection may find issues during the closing process that need to be fixed anyway. Not only will this delay the sale, but it will mean that you’ll need to spend the money to get it fixed regardless. It’s better to avoid these issues entirely by making sure that your fence is repaired in advance. Fences are also seen as more secure, and if your property will be vacant for a while, a secure fence can help. An old fence is often worse than having no fence at all. If you want to consult about your home’s current fence situations and the best options for you, contact the experts at Rustic Fence today. They can help you with a quote regarding the replacement or restoration of your old fence and let you determine whether it’s worth the investment for you.